Our Rubber Twist Lock sinkers are oval shaped and feature a groove down the middle that is lined with rubber. The sinker is attached by inserting the line in the groove and twisting two rubber tags that lock the line in place. 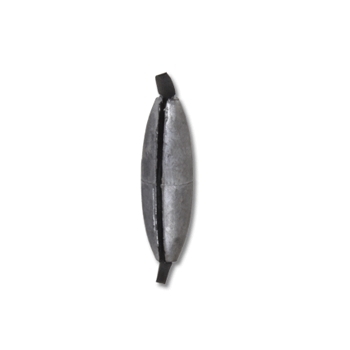 Rubber Twist Lock sinkers can be attached or removed easily and do not damage the fishing line.